Think back to your first visit to the casino. Whether you stuck to the relative safety of the slot bank or dove in head first with the sometimes intimidating table offerings, you were unquestionably a novice. 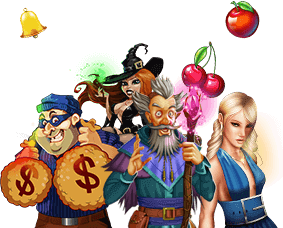 Being a novice at slots is hardly an issue, because winning is simply a matter of fortune. Table games, on the other hand, offer at least some degree of advantage to players employing a decent strategy. Despite this well-known fact, novice players stroll into casinos around the globe on a daily basis before testing their luck at the tables and walking away a winner. Sure, plenty more beginners promptly lose their shirts and discover the reason for doing their homework, but that’s not the point. After winning on their first casino trip, these newbies usually feel invincible. Despite all of the evidence to the contrary, they can trick themselves into believing that they’ve uncovered the secret formula to gaming success. This feeling is usually short-lived, though. On the next trip, the magical streak comes to an end, and the benefits of learning more about the games they decide to play become abundantly clear. So, what happened on that first visit? It was an anomaly, of course, but the fact that it occurred on the player’s first casino trip makes it seem like something more. This feeling of triumph in the face of all odds has come to be known as beginner’s luck, and it’s a universally-accepted myth employed to describe the injustice of less prepared newbies garnering all of the success while seasoned industry veterans struggle to come out on top. Let’s get the ball rolling by explaining once and for all that beginner’s luck is a fallacy. Much like the idea of hot streaks on slot machines, beginner’s luck can be attributed to random deviations from long-term patterns that offer the appearance of something more. It’s not something that can be depended on to deliver consistent results, and it’s often only mentioned when studying results in hindsight. With all of these facts in mind though, some experts contend that the play style of casino newbies could offer a bit of insight into their successes. When it comes to casino games, there’s something to be said for not thinking too much, because house edges ensure that every game on the floor is specially designed to put you at an inherent disadvantage. On your first trip to the casino, you probably weren’t expecting much. The thrill of the casino atmosphere was the actual prize, winning some extra cash was just the icing on the cake. As a result, your play style on this visit was likely more free and detached than on subsequent visits when strategic cues were running through your mind. You weren’t harkening back to a time when you beat the house for a healthy margin, you were just living in the moment. That type of freedom and wonder is difficult to recreate after you shed the title of beginner. Another common trait among casino newbies is a general openness for new experiences. After a few visits, you’ll find your favorite game and develop a routine that’s rarely broken. On your first casino visit, though, the entirety of the house is a land of opportunity. Being naive to the fact that blackjack offers better odds than roulette means that a few games of roulette are more likely to work their way into your play time. From there, just a pinch of luck can be enough to leave a lasting impression that will only be amplified as time goes by. Remember the first visit to the casino when you walked away with an extra $50 in your pocket? Those were really the days! On the flipside, a visit during which you only make $50 these days may seem like a disappointment. With this bit of perspective, is it really the case that you had more luck as a beginner, or is it simply more memorable because it was the first time you’d experienced those events. Most people have a tendency to look at the past through rose-colored glasses, and this likely has a lot to do with the perpetuation of beginner’s luck throughout the gaming community and beyond. Just because you’re not technically a beginner doesn’t mean that you can’t still take advantage of the benefits of beginner’s luck. You’ll just need to remain open to every situation at the casino, and try to avoid applying your expertise to every facet of your visit. Take a step back from your regular blackjack games and try to rethink your strategy from a new angle. Pursue gaming opportunities that give you butterflies, and trust your gut more than your mind when under pressure. Sure, beginner’s luck isn’t going to make you a billionaire, but replicating the joy that your first win presented is worth the effort all on its own. Regardless of popular perception, playing at the casino isn’t necessarily about breaking the bank. In fact, it’s all about having a good time. If you can cut free from the strategic stressors that impact your visit, it’s possible that even a small win will feel more like a great success. Or educate yourself with tips and tricks how to beat a slot machine! At its very core, beginner’s luck implies a degree of continuity. Players who visit a casino once, lose and never come back aren’t victims of bad beginner’s luck, because they were never truly beginners. In order to qualify as a beginner, you need to have some intention of progressing your skills and turning your shortcomings into successes. Players who lose and never look back don’t make headlines, because their one-time loss is unimportant. Players who win on the first visit, however, inspire hope for other players as well as themselves, and this hope helps propel them to additional wins and losses down the road. Do people with less skill and experience sometimes outperform experts at the casino tables? Absolutely. It’s paradoxes like these that make casino gaming one of the world’s favorite hobbies.